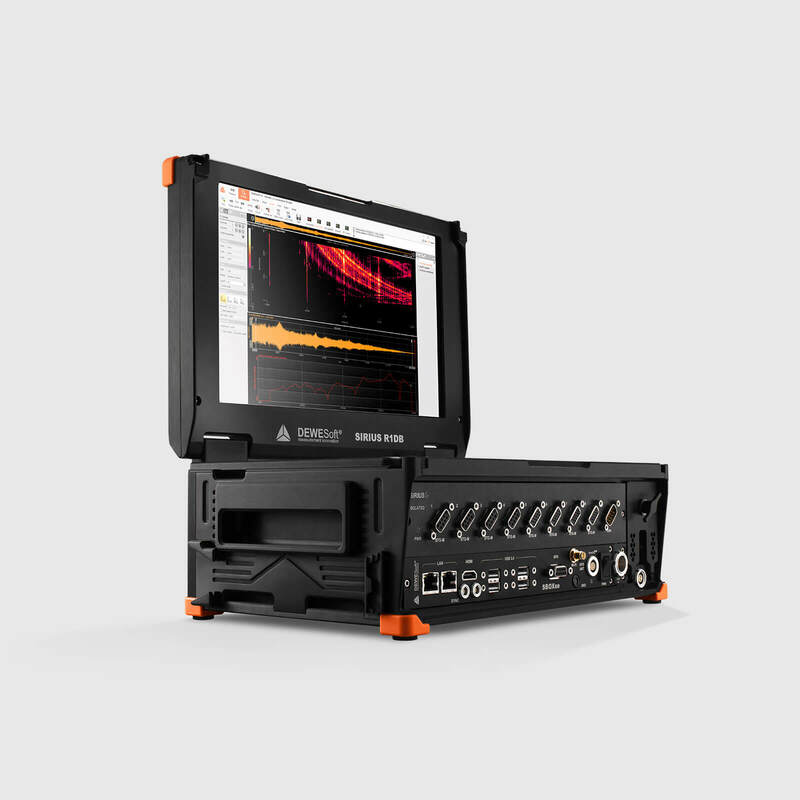 Highly compact and mobile data acquisition system with built-in data logger, powerful data processing computer, touch screen display and internal battery for maximum portability. HIGH-END SIGNAL CONDITIONING: R1DB/R2DB data acquisition system is built around SIRIUS DAQ technology and features the same versatile and powerful amplifiers for world-leading signal conditioning. 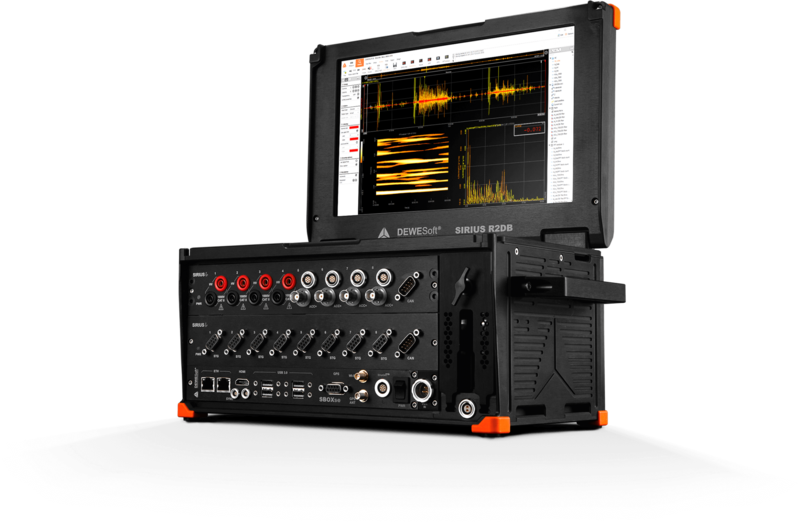 See SIRIUS product page for detailed SIRIUS DAQ technology overview. ALL-IN-ONE INSTRUMENT: R1DB/R2DB instruments are stand-alone DAQ systems with the built-in touchscreen LED display, powerful data processing computer, SSD data logging capabilities, and internal Li-Ion batteries (R1DB/R2DB). A version without battery is also available (R2D). 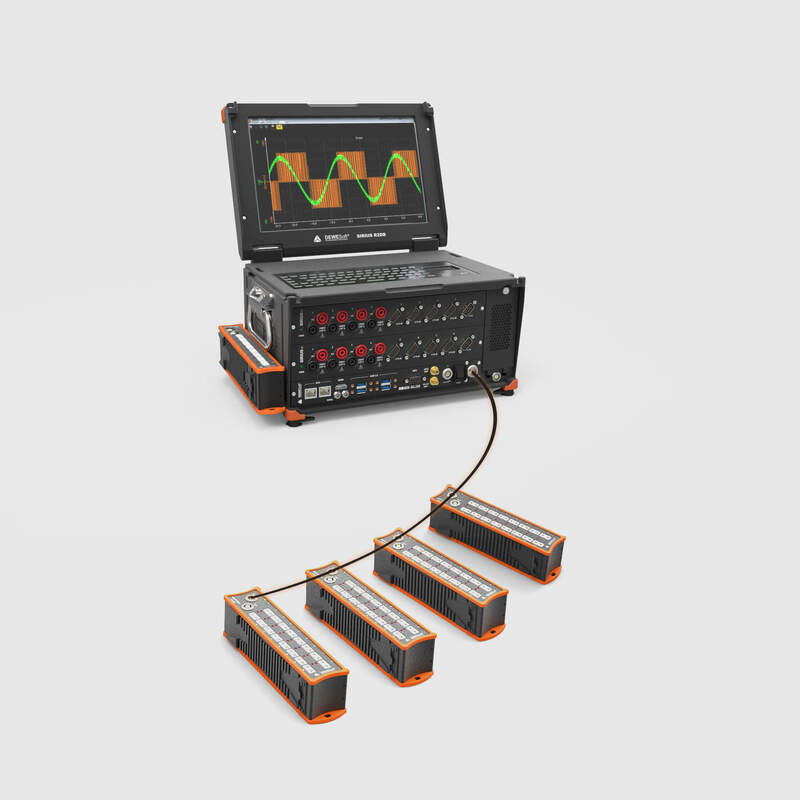 UP TO 32 ANALOG INPUTS: Systems can be configured with one (R1DB) or two (R2DB) SIRIUS DAQ slices for the total of 32 analog inputs capable of connecting virtually any sensor. UP TO 16 COUNTER/ENCODER INPUTS: Up to 16 counter/encoder or 48 digital input channels, all equipped with our patented SUPERCOUNTER® technology. UP TO 2 ISOLATED CAN PORTS: Up to 2 high speed CAN 2.0b channels with 1 Mbit/sec data throughput with additional support for CCP, OBDII, J1939, and CAN output. ETHERCAT PORT: DAQ system includes EtherCAT master port with built-in synchronization for easy connection and extension of any of our EtherCAT based DAQ system like KRYPTON DAQ modules. 100 Hz GPS WITH RTK: Optional 10Hz or 100Hz GPS receiver with additional RTK support can be built right into R1DB/R2DB DAQ system. 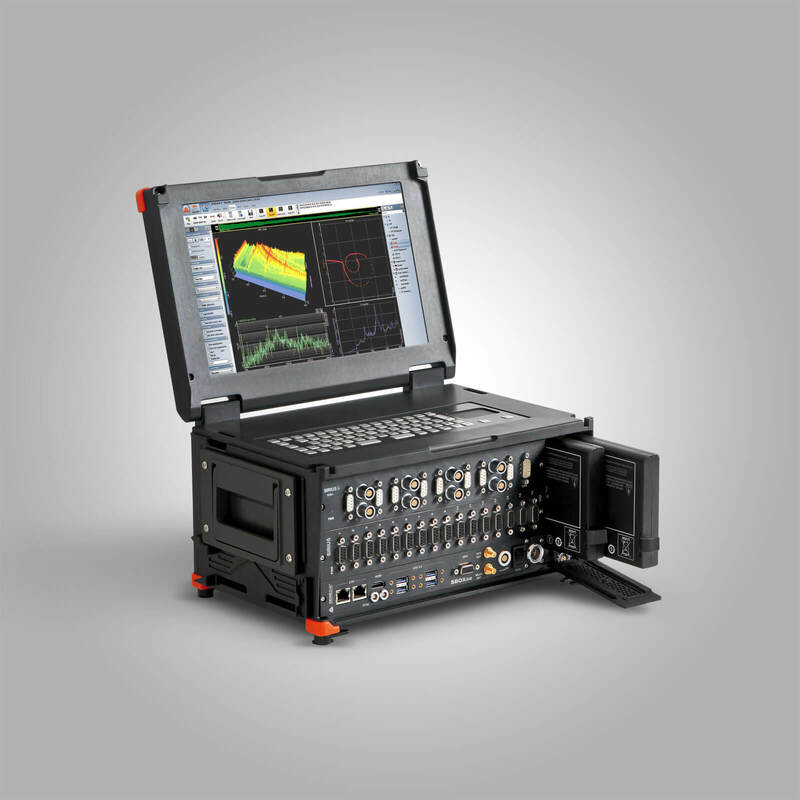 R1DB/R2DB are all-in-one data acquisition systems build around SIRIUS DAQ technology. Both feature the same DualCoreADC® analog inputs with 160 dB dynamic range and acquisition speeds of 200 kHz per channel or optional high speed amplifiers with speeds up to 1 MHz per channel. R2DB chassis can hold up to two SIRIUS DAQ slices with total of 32 analog channels, 16 counter/encoder channel, 48 digital channels and 2 high speed CAN bus ports. R1DB can hold up to one SIRIUS DAQ slice, that's half of total R2DB channels. 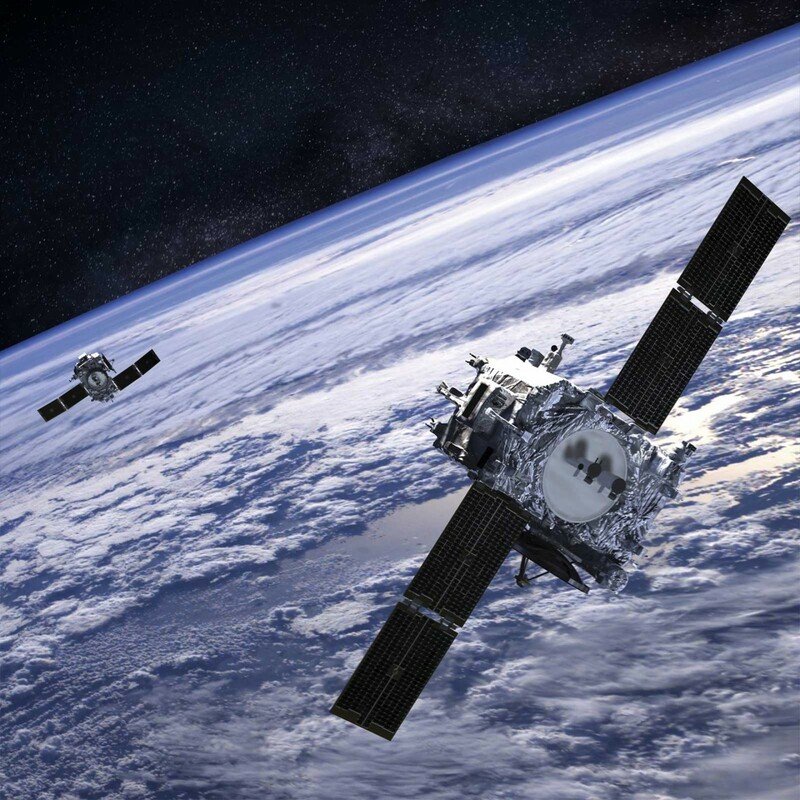 A wide variety of different amplifiers are available for virtually any signal and sensor. At the heart of R1DB/R2DB DAQ system is a powerful SBOX computer powered by Intel Core i3 CPU with optional upgrade to Intel Core i7. Together with 4 GB of memory and fast internal SSD drive provides enough power for even the most demanding real-time data processing. R1DB and R2DB data acquisition systems have integrated high-resolution, high-brightness 12.1-inch multi-touch display with WXGA display. The display provides enough resolution for all your visuals and enough visibility even in the harshest environments. The high-quality display allows wide viewing angles. R1DB have built in 96 Wh Li-Ion batteries while R2DB have built-in 192 Wh Li-Ion batteries for maximum portability. Batteries are hot-swappable, meaning you can exchange them even during your measurements without the need of shutting the system down and stopping the test. R1DB/R2DB data acquisition systems are equipped with EtherCAT master port which can be used to expand and distribute additional DAQ channels with any of our EtherCAT based units like SIRIUS and/or KRYPTON. EtherCAT port includes built-in hardware synchronization hub for synchronization of all the connected EtherCAT DAQ channels with internal R1DB/R2DB DAQ channels. Only one cable is needed to daisy chain the units. The single cable runs data, synchronization, and power to all extended EtherCAT devices. R1DB is smaller, even more compact version of R2DB data acquisition system. 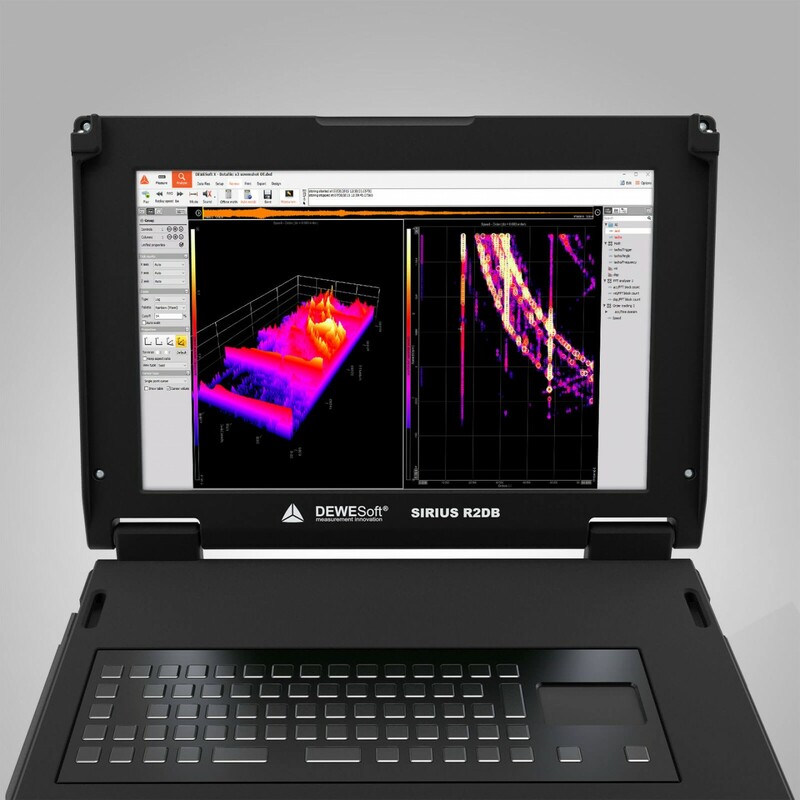 It features the same multi-touch LED screen, powerful data processing computer, and SSD data logger with internal hot-swappable batteries for maximum portability. 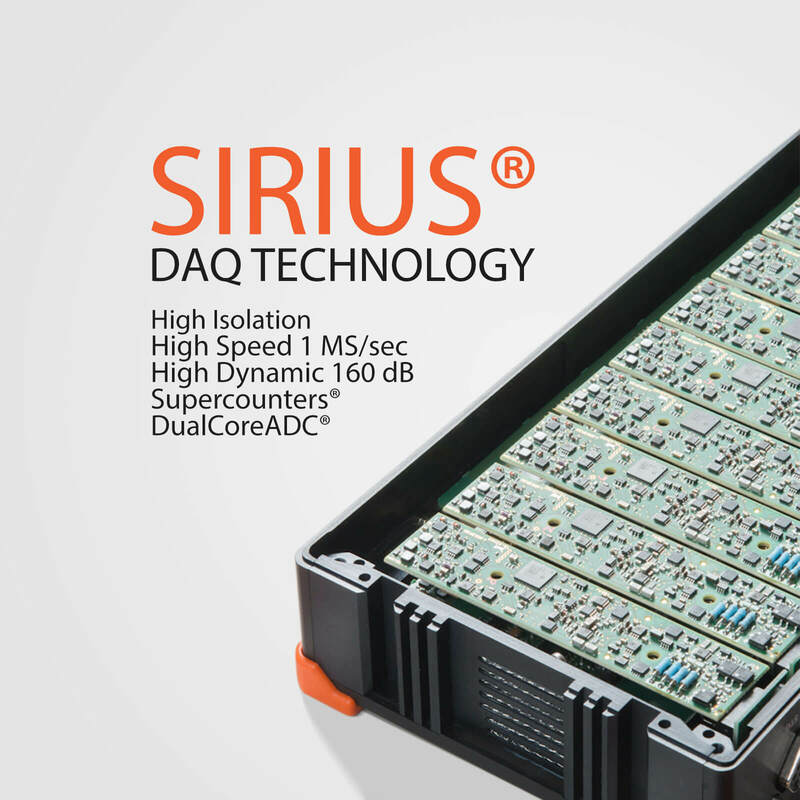 R1DB can accommodate one SIRIUS DAQ slice. Up to 16 analog inputs, 8 counter/encoder inputs, 24 digital inputs, and 1 high speed CAN input. GPS and RTK option will transform the R1DB/R2DB system into powerful automotive data logger for an advanced position based test and measurement applications like pass-by-noise, vehicle dynamics, brake testing, road load data, ADAS, and more.